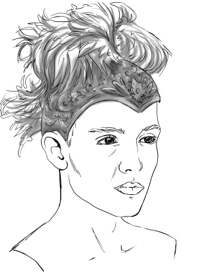 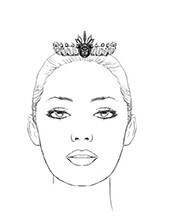 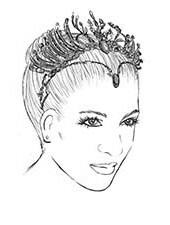 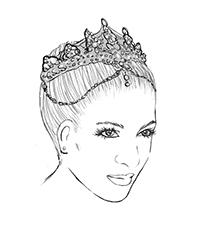 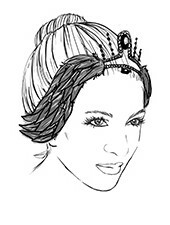 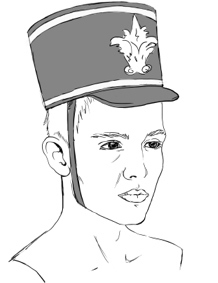 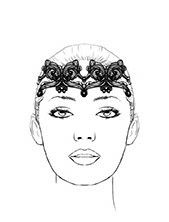 Our Men's and Women's Headpieces displayed below can be created to match your custom designed tutu. 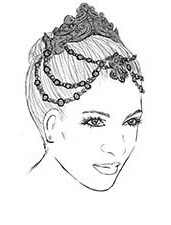 We have created these drawings to display silhouette suggestions. 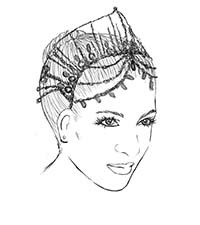 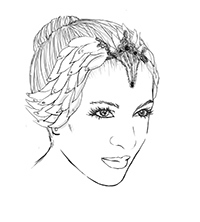 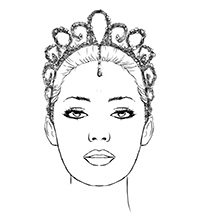 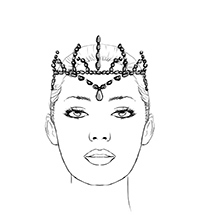 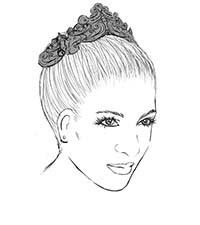 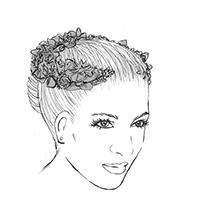 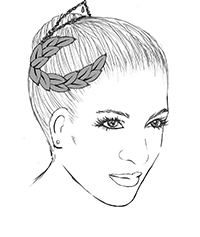 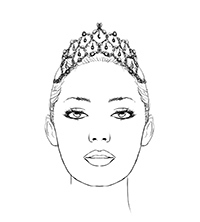 Each headpiece design can be constructed with any combination of materials such as, Beads, Rhinestones, Appliqués, feathers or foliage. 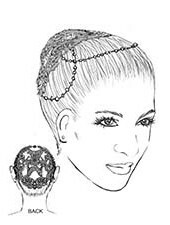 They are very lightweight and durable. 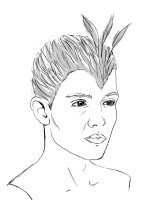 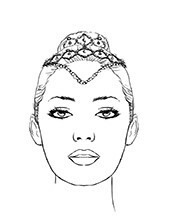 Included for security are combs and horsehair to bobby pin into your hair. 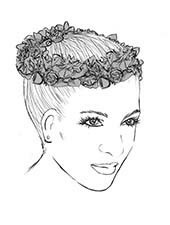 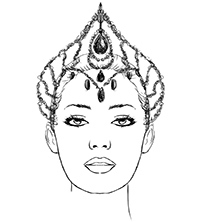 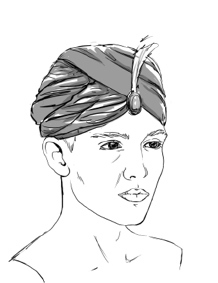 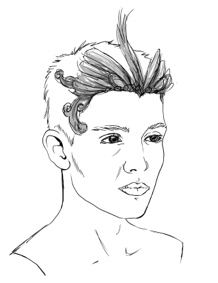 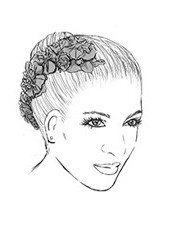 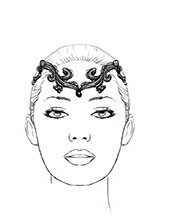 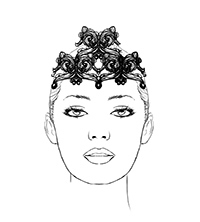 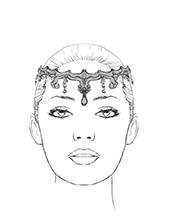 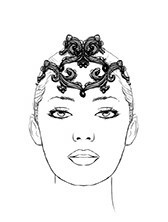 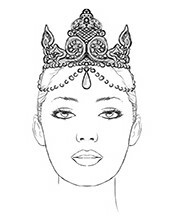 If you like aspects from one headpiece and want to blend with another, contact us we may be able to.